We really pleased to have you as our tenant at Noble House. Thank you for your trust and support until this present day. 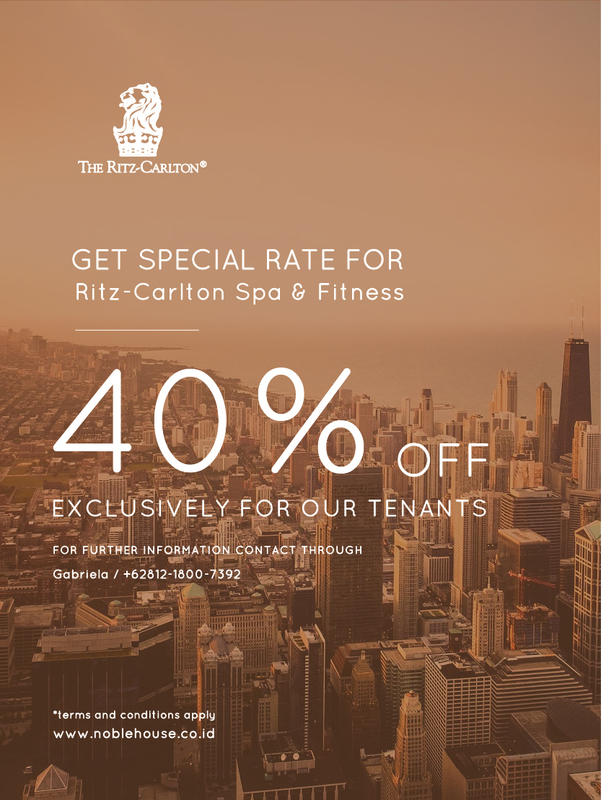 We are grateful to announce that we are in collaboration with Ritz-Carlton Spa & Fitness Centre Mega Kuningan, Jakarta.